- Difficulty in making reinforcements continual and ensuring they are connected to the structure at the head of the wall. 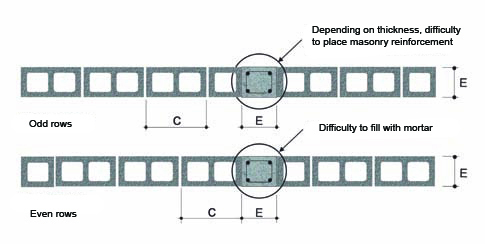 - Difficulty or impossibility, depending on the thickness of the part, in placing the reinforcement in the core of the concrete block. - Having to ensure the vertical pillars are filled with concrete (not mortar) in their entire height. - Uncertainty in terms of quality of the works, since it is a construction system where non- prefabricated elements are used. - Difficulty in achieving a good aesthetic finish, mainly in exposed concrete block masonry, because the presence of horizontal bands leads to a change in the hue of the special parts. 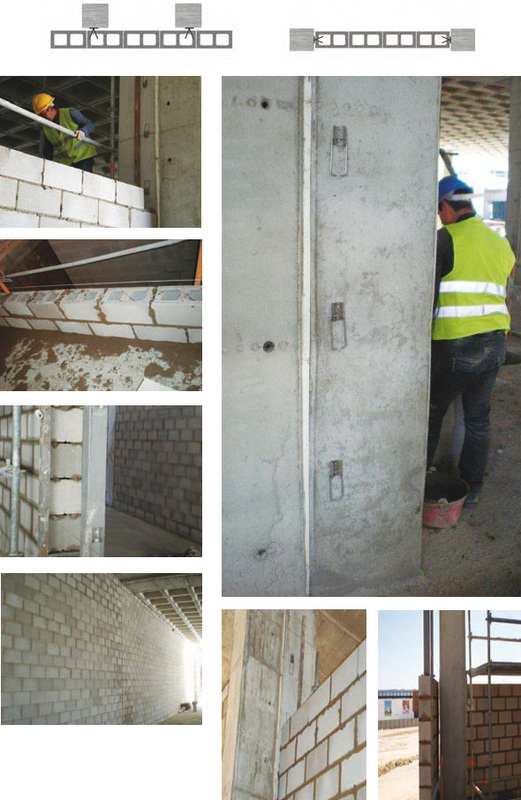 Using the GHAS SYSTEM means no horizontal bands and on the walls where there is contact with the pillars of the concrete and/or metal structure, the vertical pilasters can be removed almost in all cases. 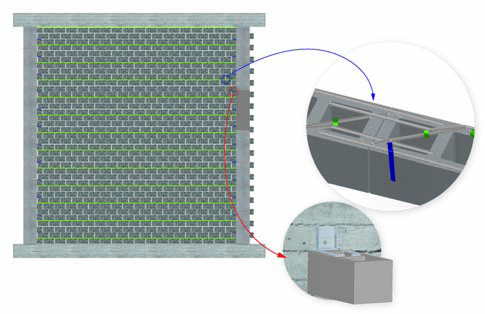 On the walls where this contact does not occur, the distance between vertical supports can be increased and the number of vertical pilasters can be reduced. 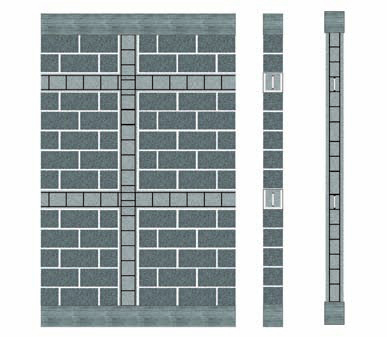 - Total elimination of vertical pilasters. - Total elimination of horizontal bands. - Faster and safer work. - Stability is guaranteed by means of justification calculations and CE marking of the materials used.